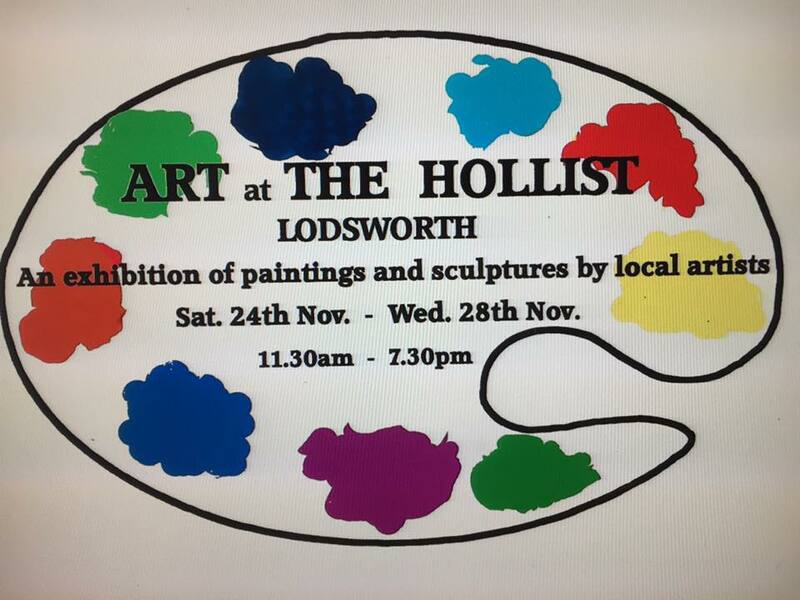 Art at the Hollist is a regular event, and one that the community hugely enjoys. There are so many talented artists in and around Lodsworth - this is an opportunity for them to showcase their work, and to raise some money for charity in the process. This year’s wonderful selection of art and sculpture will be open for viewing from Saturday 24th November to Wednesday 28th November - from 11.30am to 7.30pm (with a preview for local residents on Friday 23rd 6pm - 8.30pm). The chosen charity this year is Petworth Cottage Nursing Home. Do come along.